Scranton Mixed Martial Arts held a Gracie Jiu Jitsu Seminar this weekend and it was a great event for all who attended. The legendary Royce Gracie, the original champion of the first ever Ultimate Fighting Championship, instructed the seminar. It was such an honor for us to have the only and only Royce Gracie come to our academy and teach our students and our instructors. 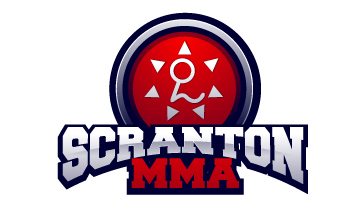 Scranton’s Best Jiu Jitsu Seminar! Royce first did a two hour long Gracie Jiu Jitsu and Self Defense Seminar at Scranton Mixed Martial Arts. He taught some great moves that proved to be very effective against some of the most common self defense situations. Royce besides being a very accomplished mixed martial artists is also a great instructor. He was able to help everyone in attendance from our newest students to black belts with years and years of experience. Everyone who came walked away a better martial artist and also had a great time! Royce took the time to let everyone practice the moves as much as they needed and provided tips, tricks and feedback that helped us get better and better as time went on. He also took the time to explain why the move would work, why you would do it, when the situation would occur and the proper way to train with your partner. Again all of the moves and techniques were very effective and very safe to practice. This is one of the best things about Gracie Jiu Jitsu! You learn and practice extremely effective techniques that will work if you ever truly need to use them… and you can do it in a very safe and controlled manner which minimizes the chance of injury and allows you to gain great proficiency in the art of Gracie Jiu Jitsu. After the two hour long seminar…To be fair it did run over but no one was complaining… Some of the Jiu Jitsu instructors from Scranton MMA got to take a private lesson with Royce. This was a great opportunity for all of the instructors in attendance to learn directly from Royce. Royce not only showed us some great techniques but he was able to give us some great tips on how to teach Gracie Jiu Jitsu to our students at Scranton MMA. All of the instructors were very excited to use some of these new teaching methods in class right away! It was great to be able to ask someone like Royce a question and get his opinion. Often his response was something that we already do at our academy which was great but he was able to give us some new ideas to try. Royce shared a wealth of knowledge that will pay huge dividends for all of our students. There were some great pictures taken during the seminar. Sorry for the delay but they will be uploaded to our website and our facebook page shortly. We want to thank everyone who came out to the event from near and afar. It was a great day of learning and training and we really look forward to having Royce Gracie back to Scranton MMA soon!!! !